Paksiw na Bangus is a comfort food to most Filipino. 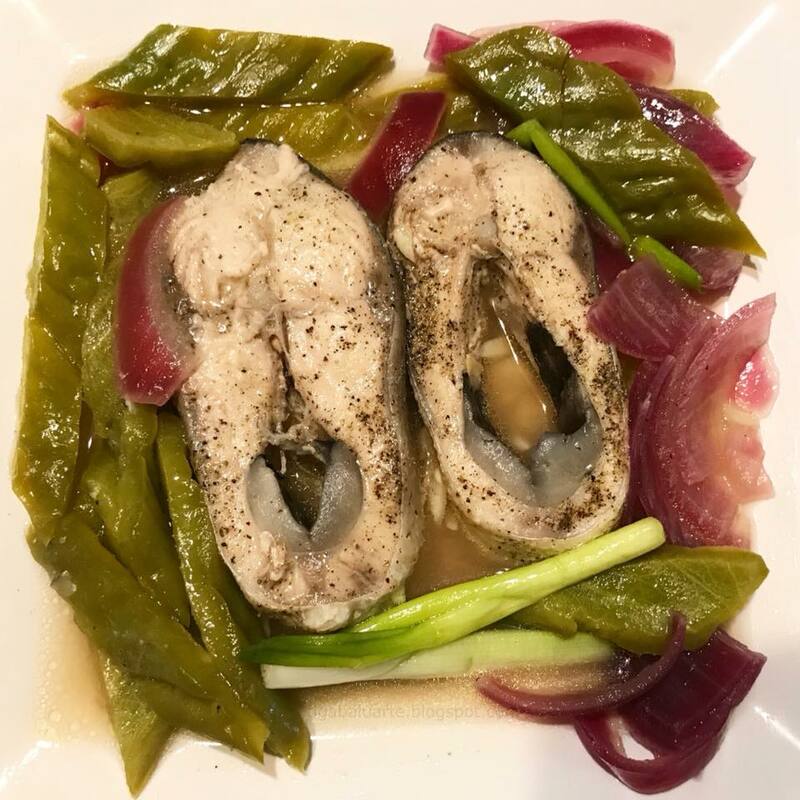 This dish is made with Bangus (Milk Fish) simmered in vinegar, garlic, onions, ginger and with desired vegetables like eggplant, bitter melon, etc. Easy to cook, very satisfying and you will definitely need lots of rice. Place ginger then the bangus in a wide pan. Topped with garlic, salt, ground pepper, vinegar and water. Bring into a boil uncovered over medium high heat. Once it starts to boil, reduce heat to medium low and add ampalaya and onion slices. Simmer for 5 to 10 minutes or until bangus and ampalaya are fully cooked. Add cooking oil and simmer for few minutes. Garnish with slices of green onion and serve hot. Enjoy!